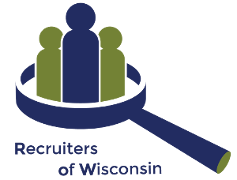 Join ROW for a great day of Recruiter Training! Everyone wants the silver bullet to build a successful, sustainable, and profitable recruiting firm. The fortunate truth is it isn’t that complicated if you’re willing to put in the time and effort to work a simple plan. The unfortunate truth is there aren’t a lot of short cuts. Monte Merz isn’t a regular on the speaker circuit. 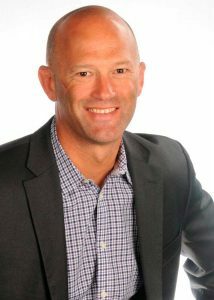 However, over the course of 15 years, he did build and continues to manage a thriving and stable recruiting firm that boasts a 25 person staff, $10M+ in annual revenue, and $5M+ in perm revenues. If finding a simple blueprint to building a small to medium sized, sustainable and functional firm is of interest to you, you are welcome to join Monte as he outlines how he “accidentally” produced that exact outcome. Morning Session: Reverse Engineering Success – slow and steady wins the race. Start with the plan in mind. Variables to manage and non-variables not to manage. Conflict Management – The Blue Sheet. Afternoon Session: Hire Right – Keep them forever. This is the job. Nothing more, nothing less. Retention (hint…. this is everything). ROW Member Price: $129/each first 3 from Member firm, $99/each beyond that. Monte founded High Country Executive Search in 2002. After spending eight years working within large national firms in a variety of roles from desk recruiter to Regional Vice President, Monte’s experiences revealed to him not only what clients, candidates, and search professionals wanted in “best practices” but also what they didn’t want in what seemed to be the industry’s “worst practices.” High Country Executive Search has been his effort to refine a low volume, high quality approach to bringing exceptional talent and committed companies together. Originally from Nebraska, Monte moved to Colorado and began his recruiting career in 1994. He obtained his undergraduate degree from Buena Vista University in Storm Lake, Iowa in 1991 where he earned All-American and Academic All-American honors as a collegiate wrestler before moving on to The University of Iowa and earning his MBA in 1993. Interests include mountain biking, distance running, snowboarding, reading and spending time outdoors with his wife Jenna, daughter Sadie and son Wyatt.